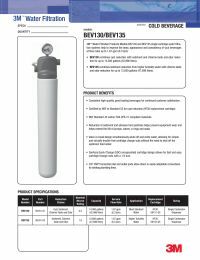 The BEV135 Filter System was formerly labeled as Aqua-Pure BEV135. 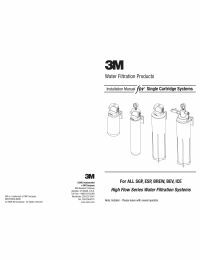 For Single Carbonator Dispensers under standard water conditions. Valve-in-head design simultaneously shuts off and vents water, allowing for simple and virtually trouble free cartridge change outs without the need to shut off the incoming feed water.